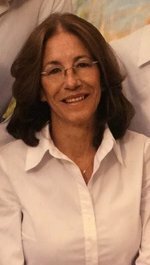 Deborah “Debbie” Lea Valentine, 61, passed away surrounded by her loving family on Thursday, September 13th, 2018 in Virginia Beach. Debbie was born on December 17th, 1956 in St. Paul, Minnesota to Everett and Dorothy Hemmesch. Debbie was an entrepreneur and a successful businesswoman for over 25 years, where she supported the United States Navy and the military through servicing the Armed Forces Exchange system worldwide. She was a loyal supporter of the military, Cox High School baseball, the Virginia Tech Hokies, and keeping up with current events. Debbie was a fierce critic of the spending habits in the City of Virginia Beach, but at least we have the flags on Shore Drive. She loved to use sarcasm to convey her humor, pulling pranks, and red herrings. Above all else, Debbie was an incredible wife and mother. She cherished shopping trips with her daughters, attending her son’s baseball games, and traveling with her husband to many foreign, exotic destinations during his Naval career. She enjoyed the company of close neighbors and friends in the community which she lived, Broad Bay Island. Debbie’s legacy will endure through her husband, Captain (ret.) William D. Valentine, her children, Courtney, Chelsea, & Chance, her dog, Murphy, and countless family & friends. She was most proud that all of her children graduated college and are living lives as independent and successful adults. She was preceded in death by her mother & father, sister, Pam Hemmesch, and mother- and father-in-law. In lieu of a funeral, the family will hold a celebration of life for extended family and friends at a later date. We ask you to share your contact information with her daughter at the following email address if you wish to be included: court.valentine@gmail.com. Memorial Contributions may be made to the Virginia Beach SPCA or the Sentara Virginia Beach General Hospital Nurse’s Auxiliary. She brought the gift of love to everyone, and leaves a warm and gentle breeze that will pass through our minds forever. We feel closest to her when we remember her, and request all those that had the pleasure of knowing her to please share a memory via the Condolences & Tributes tab. To send flowers to the family of Deborah Lea Valentine (Hemmesch), please visit our Heartfelt Sympathies Store.